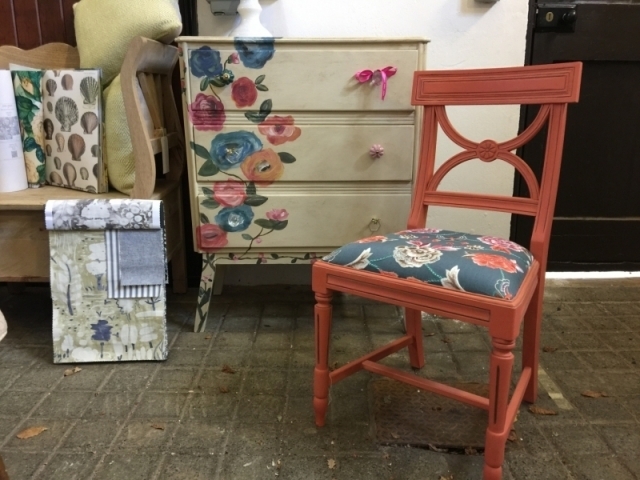 Mixing our love of fabric, chalk paint and upcycling, we are excited to be bringing you our first chair makeover workshop! 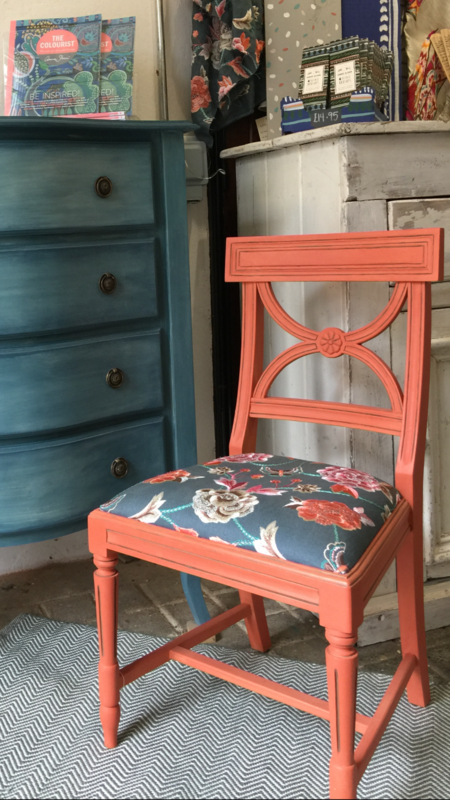 This is a full days course where you will learn how to reupholster a drop-in seat style vintage chair (provided) using one of our beautiful fabrics as well as giving it your own style of chalk paint finish. All materials, including the chair are provided. You come away with invaluable skills and a brand new chair!